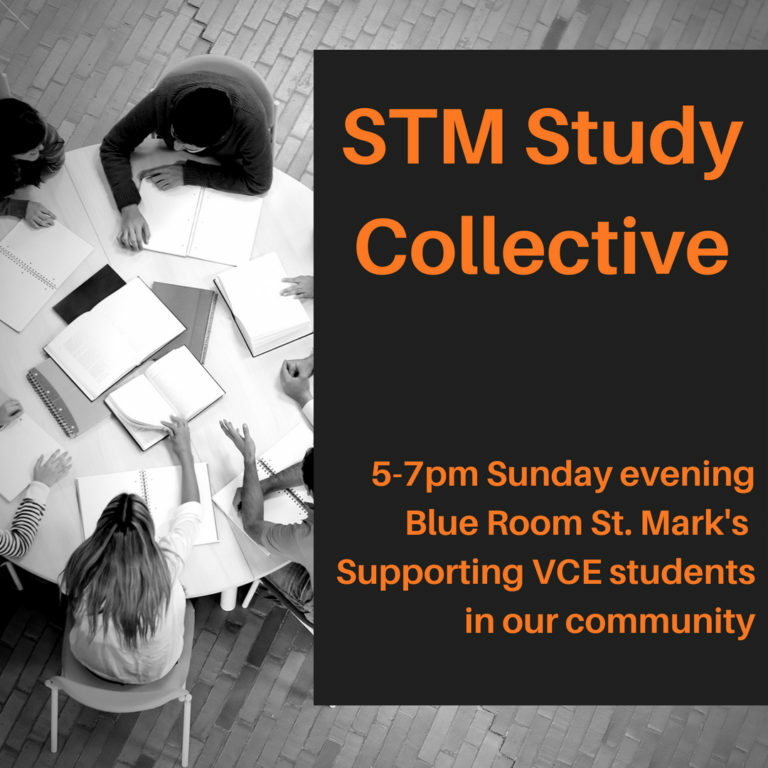 STM Study Collective is a student support group for VCE students and those doing VCE subjects. It runs on select Sunday evenings and is supported by members of our congregation who volunteer their time to tutor, support and mentor our students as they navigate the crazy two years that are VCE. This is a great time for students to come together study, prep for SACs, share resources, encourage each other and get to know other members of our STM community in a supportive environment. Call the St. Mark’s office for more information.